Epson stylus C58 is inkjet colour photo printer that can print upto 20 black text pages per minutes and can print at maximum resolution up to 1440 x 5760 dpi. This printer support for Mac and windows and can be connected through USB cable and paralel port. 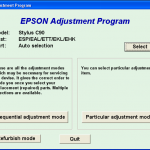 Download Epson C58 Resetter and extract the downloaded file. Change date setting in your PC to November 9, 2006. 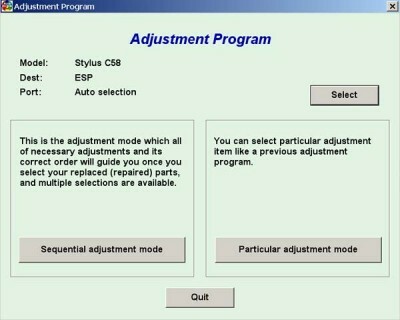 Note: The printer need to be resetted marked by the led lamp blinking alternately. 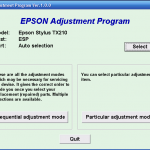 Related to "Download Epson C58 Resetter"